Are you a leader, manager, or supervisor who wants to get results without losing your soul (or mind) in the process? From a general-session keynote to multi-day workshops, David's interactive presentations will motivate and equip your leaders to increase their influence, improve team dynamics, increase employee engagement, solve common leadership frustrations, and improve productivity. David served as an elected city councilman and as a nonprofit executive where he led efforts to replicate organizations in New York, Orlando, Phoenix, and Portland, a has coached leaders in more than 2000 sessions. David is currently the president of Let's Grow Leaders where he works with leaders, managers, and supervisors to get more done, build teams that care and meet their goals. He believes that skillful leaders at every level are essential to a positive future and that everyone can master the essentials of influence. He is known for his optimism, hope, and for helping aspiring and veteran leaders believe in their ability to make a difference. David makes difficult concepts understandable and helps leaders move to immediate, practical action. David is a professional member of the National Speakers Association, Association of Talent Development, and the Alpha Sigma Nu honor and service society. He holds a master’s degree in nonprofit management and regularly speaks and writes about effective leadership. He is the award-winning author of The 7 Things Your Team Needs to Hear You Say and Winning Well: A Manager's Guide to Getting Results Without Losing Your Soul. Winning Well: A Manager's Guide to Getting Results Without Losing Your Soul It can feel like a rigged game. Executives set impossible goals, so managers drive their teams to burnout trying to deliver. Employees demand connection and support, so managers focus on relationships and fail to make the numbers. The fallout is stress, frustration, and disengagement, and not just among team members―two-thirds of managers report being disengaged. To succeed, managers need balance: they must push people to achieve while creating an environment that makes them truly want to. Winning Well offers a quick, practical action plan―complete with examples, stories, online assessments, and more―for getting the results you need. Managers learn how to: • Stamp out the corrosive win-at-all-costs mentality • Focus on the game, not just the score • Reinforce behaviors that produce results • Set clear expectations―delegating outcomes rather than focusing on process • Celebrate even small successes • Correct poor performance using the INSPIRE accountability method • Demonstrate confidence and humility • Energize teams to sustain excellent performance • And more Today’s hypercompetitive economy has created tense, overextended workplaces. Keep it productive, rewarding, and even fun with this one-stop success kit. The Seven Things Your Team Needs to Hear You Say Productive, energized, and innovative teams are critical to your success. In The Seven Things Your Team Needs to Hear You Say, author David M. Dye shares practical and encouraging tools you can use to cultivate engaged, responsible, and results-oriented teams. Whether you're a new frontline leader, a small business owner, or a veteran manager, The Seven Things Your Team Needs to Hear You Say will inspire you to inspire your team. You don't need buckets of charisma - they just need to hear you say these seven things. 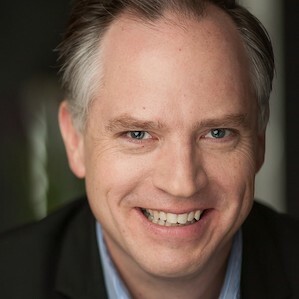 Find out more about David M. Dye at http://www.LetsGrowLeaders.com.